Using education for promotion of tolerance and good interethnic relations is very important in conflict affected societies, faced with issues of ethnic and national identity, prejudice and division, such as Northern Ireland and the Republic of Macedonia. Therefore, this book provides insight into the ways of promoting better intergroup relations among children using inter-group contact. 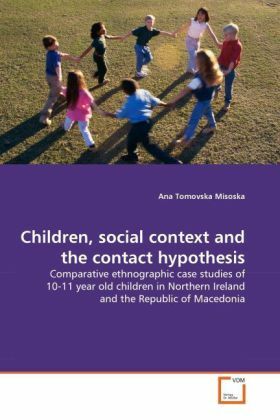 Furthermore, it offers a fresh look at inter-group contact by using qualitative methodology in researching children and combining the theoretical underpinnings of the contact hypothesis with Bronfenbrenner's ecological theory and Bourdieu's notion of habitus. In doing so the book shows that contact does not happen in isolation and highlights the importance of the wider sets of contexts within which children and contact programmes are located and their connection with children's habitualized ways of thinking and behaving. This book can serve as a valuable source of information for academics and professionals working in the field of peace education, intercultural education and on programmes aimed at improving inter-group relations by providing new theoretical perspective on the contact hypothesis.